First of all, i stand by what i posted in my previous post, Undertaker is not death. 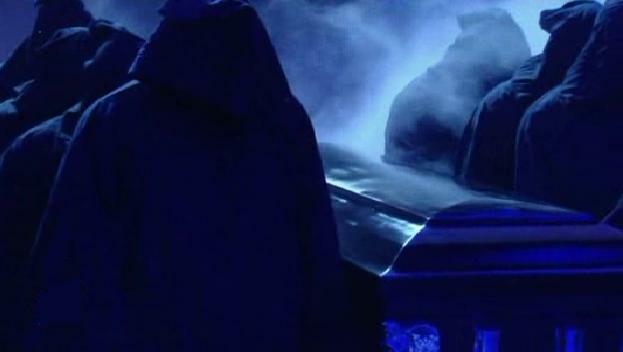 Now, i would like to add more on this story whether undertaker is death or not. Its a great tagline that smack down has come up with “Undertaker is death and his brother Kane seeks revenge“. Think for a moment, WWE is not the best of shows lately and every match in WWE is really boring except for few. Besides that a huge toll of WWE fans has gone to TNA wrestling since Shawn Michael’s retired. The factors like Undertaker is showing up to smack down for one or two matches since wrestlemania 26 and Triple H taking up acting for movies and Batista quitting WWE played a huge factor on Fans turning to TNA. The major impact of Undertaker death story has been the return of fans who left watching WWE. yep, it seems the hottest search in Google, Yahoo, Bing was the story of undertaker death or not. Remember what Vince McMahon told to Bret Hart last monday “There is a Huge plot going in WWE backyard”. I had a mild doubt on this line whether what plot that might be and its now cleared after Undertaker death story emerged. Kane after such long years seemed like the old Kane we used to know . He has sworn to take vengeance on the mystery man who attacked undertaker. I will keep you folks updated once the story turns off following weeks. Sony Ericsson to dump Symbian OS ? Next: Hindu Militant group on Rise in Nepal?